Dr. Lara Briden is a naturopathic doctor and The Period Revolutionary—leading the change to better periods. Informed by a strong science background and more than 20 years experience with patients, Lara is a passionate communicator about women's health and alternatives to hormonal birth control. 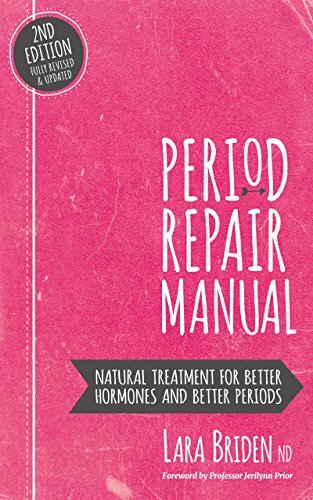 Her book Period Repair Manual is a manifesto of natural treatment for better hormones and better periods and provides practical solutions using nutrition, supplements, and natural hormones. She first worked as a researcher and evolutionary biologist at the University of Calgary. She then went on to graduate as a naturopathic doctor from the Canadian College of Naturopathic Medicine (CCNM) in Toronto. Her love of science and the natural world has informed the way she works with patients. Lara views the body as a logical, regenerative system that knows what to do when it’s given the right support. And she's seen that principle in action with thousands of patients she's helped with period problems such as PCOS, PMS, endometriosis, and perimenopause. Lara blogs to keep abreast of current research into hormonal health. She divides her time between Christchurch, New Zealand, where she lives, and Sydney, Australia, where she has her consulting rooms.